There are two types of predators that attack rattlesnakes, those that want to eat or those that want act in fear of their safety; which consist of hawks, deer, coyotes and horses. Due to their smaller size they are sometimes easily subdued by larger animals. Eagles and hawks generally swoop down and catch rattlesnakes to eat. Other predators that feed on them include animals such as bobcats and coyotes that ambush them. If a deer or horse sees a snake in its field of view it may become frightened. Once these animals are alerted they will attempt to trample and kill the snake. 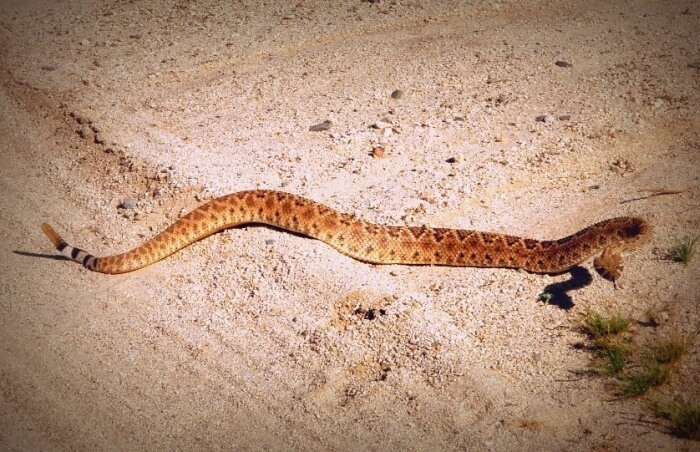 Rattlesnakes that are not killed can live an excess of 20 years in the wild.